Dr. Cory Liss is a native Calgarian. 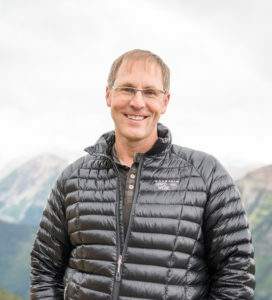 After receiving his dental agree from Northwestern University in Chicago, he went on to the University of Washington in Seattle to complete his Master’s degree in Oral Biology and a specialty certificate in orthodontics. As a certified specialist in orthodontics, Dr. Cory Liss has a strong interest in treatment methods and techniques that shorten treatment times and improve patient comfort. Dr. Liss is committed to providing his patients with the most current orthodontic treatment options and techniques. He believes that each patient is truly unique and hopes to tailor their experience. He is never far from the clinic and available to answer any questions his patient or family may have. Dr. Liss is happily married to his girlfriend out of high school. Together with his son Andan and daughter Macie and yellow lab Brittney they share a love of the outdoors. Downhill skiing at Kicking Horse Mountain, playing hockey, biking and time on the water are favorites.